A newly discovered fossil of what may be the earliest known bird redraws the picture of the early avian evolution, but some researchers are not convinced. Researchers discover a 70-million-year-old egg that belonged to a small, bird-like meat-eating dinosaur. 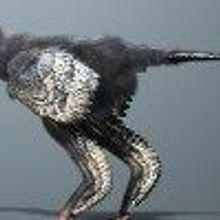 A 130 million-year-old winged dinosaur offers scientist the oldest evidence of iridescent feathers. Dinosaur and early bird feathers trapped in amber around 80 million years ago provide unprecedented insight into the evolution of plumage. 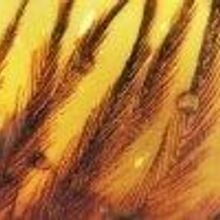 After rummaging through thousands of amber inclusions housed at the University of Alberta and the Royal Tyrrell Museum of Paleontology in Canada, researchers discovered 11 amber encased-feather fossils that provide the most detailed picture yet of early feather evolution. The discovery of a new bird-like fossil challenges longstanding theories about which species of dinosaur gave rise to the avian lineage.